Apprenticeships and Traineeships are competency based training programs that may be completed full time, part time or while at school. As nationally recognised qualifications, they combine time at work with campus or workplace training and provide entry-level training for new employees to build their career and employment aspirations. As a Registered Training Organisation (RTO 52007), APSI helps employers to upskill their current employee base or find new staff to fill skills shortages. As an employee, you may want to make use of the traineeships and apprenticeships scheme to commence or review your own career path. The Australian Apprenticeship and traineeship system can help you to achieve your employment objectives. Our traineeship coordinator will work with you and our employer to help develop a training plan, deliver your training, assess your achievement of skills and assist you to achieve a nationally recognised qualification upon successful completion of training. For more information on apprenticeships and traineeships, visit the Commonwealth Government funded Australian Apprenticeship pathways website. Download the list of eligible traineeships or visit the provider list. The Government also subsidises eligible existing workers to undertake traineeships in higher level (ie Certificate IV and above) priority courses. An existing worker is defined as a person employed with the same employer continuously for more than three months full time or 12 months casual or part time or a combination of both, immediately prior to the commencement date of the training contract. Please note that the term of employment includes any periods of approved leave. School based Apprenticeships and Traineeships allow students to work for an employer as a paid employee and undertake training towards a recognised qualification, whilst completing their secondary school studies. School based Apprenticeships combine high school study, training and paid work. On completion of Year 12, student will receive senior graduation certificate and have trained towards a Certificate qualification in their chosen career, as well as being paid for the time spent working. What are the benefits of skilling an Australian Apprentice / Trainee? Traineeships and Apprenticeships can offer significant benefits to eligible employees with an organisation to support training initiatives. These incentives can include payroll tax exemption for the employee for the duration of the traineeship as well as commencement and completion incentives for the organisation. In addition, employers will have competent staff who are trained to meet the business needs. The salary of the trainee can meet training benchmark B Requirement. Employer can choose the training provider/RTO and how, when and where training is delivered. A training plan will be developed in consultant with the employers, trainee and RTO. Australian Professional Skills Institute has been delivering traineeship in hospitality and business areas for many years. Please email us to find out more details. What are the costs of taking on an Australian Apprentice? For training wage information and award details and information about conditions of employment visit the Fair Work Ombudsman website OR call 131394. Training fess may be levied by Australian Professional Skills Institute as a Registered Training Organisation. Join some of our hospitality host employers such as the Trustee’s Bar, the Heritage Brassiere, the Brisbane Hotel, Sorrento Beach Resort to provide opportunities to our future Australian workforce to earn while they learn and achieve a nationally recognised qualification. If you are interested to participate in this program as an employer or an employee, please contact us at 1300 883 673 or email us. 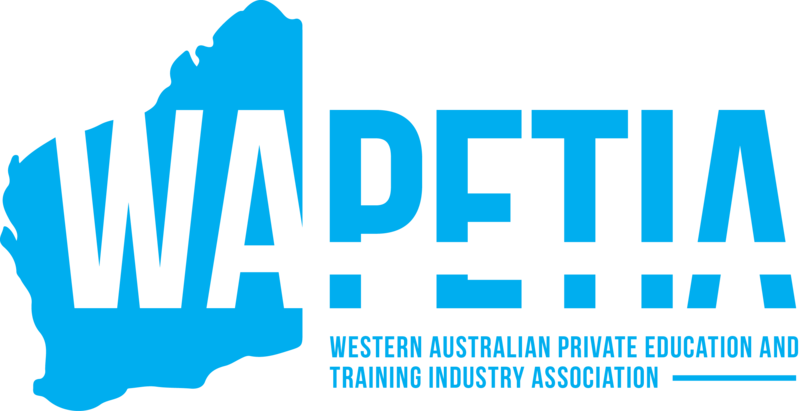 Australian Professional Skills Institute will organise a time with the employer and the apprentice/trainee for a representative from Apprenticeship Network to visit the workplace and explain the Training Contract. Offering traineeships and apprenticeships program to your staff is a great way to offer your staff professional development, with the ability to train your staff flexibly, with either On-the-job, or released for study time on APSI campus in East Perth. Most of the training can be carried out on the job with regular training and on-site visits from APSI professional trainers. If you are an Australian employer and thinking to contribute to training the future Australian skilled workforce, please contact us and we can introduce to you the traineeships and apprenticeships scheme available from Australian Government. Please Email us or call (08) 63654386 for more details.